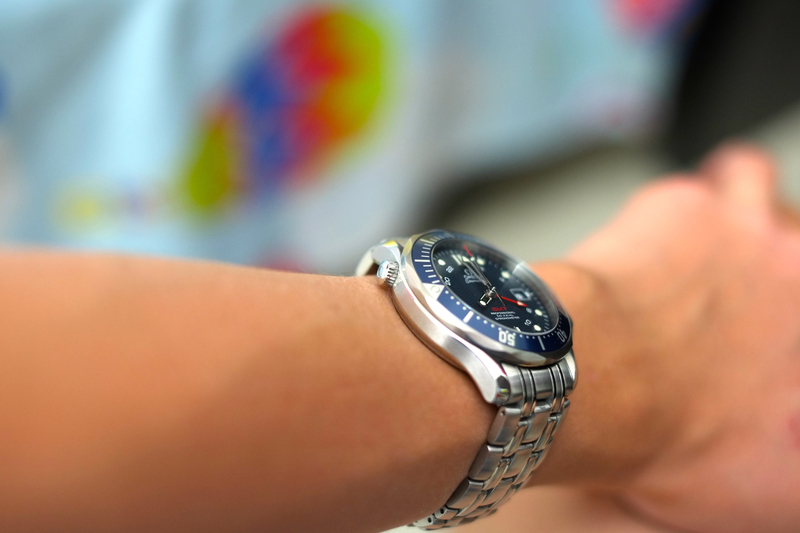 Omega is the second most popular Swiss watch brand after Rolex, it is the more conservative alternative for people wanting luxury watch brand without having to spend over $10000 (although Omega does have many model that cost more than $10000) or avoiding the Rolex impression (rich guy with nice watch). Omega watches range in $3000-6000 for the stainless steel models, including the famous Speedmaster line and Seamaster line. 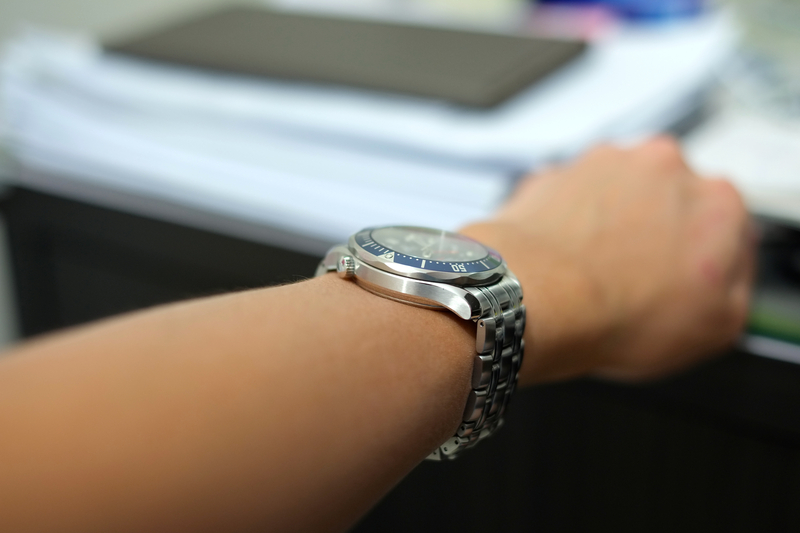 Omega used to lead the luxury watch market until the collapse of many Swiss watch maker in their competition with quartz watches, where Rolex stayed producing quality automatic watch while Omega follow the trend and make quartz watch. 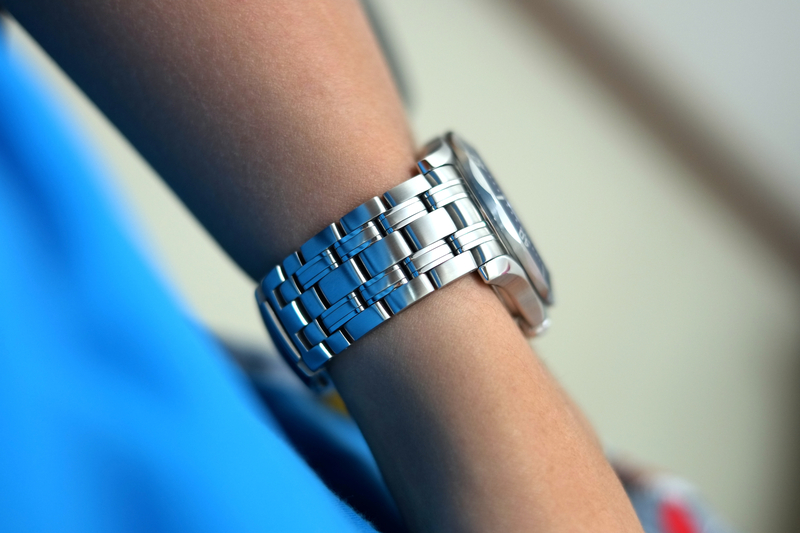 From there on, Rolex lead the comeback of luxury watch market while Omega lagging behind. But that’s not entirely true today, Omega are making a comeback with their in-house movement, Daniel Co-axial, and innovative classic design. From many watch forum I visited, most of watch connoisseur view Rolex is on par with Omega, with Omega having lower price and same quality movement but without the impression of a Rolex. 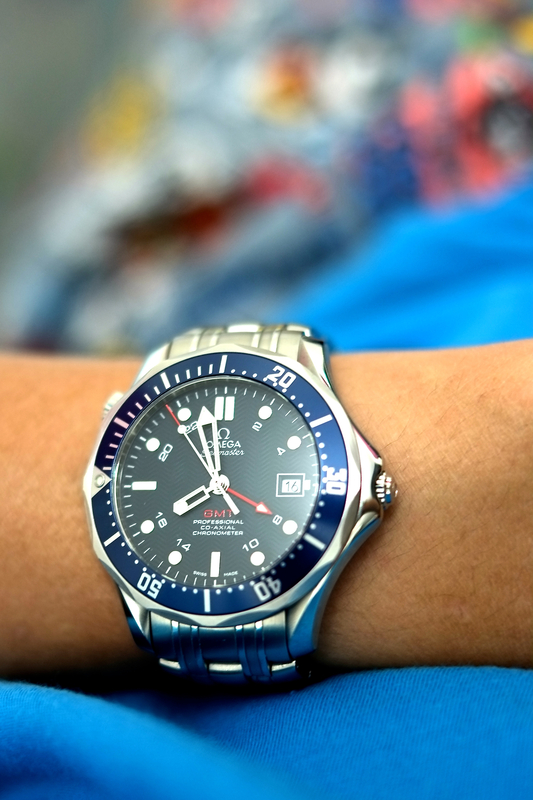 Omega has various line of watch including seamaster, speed master, de ville, constellation, bullhead, etc. But the most popular are seamaster and speedmaster due to its history and involvement in various historical events. 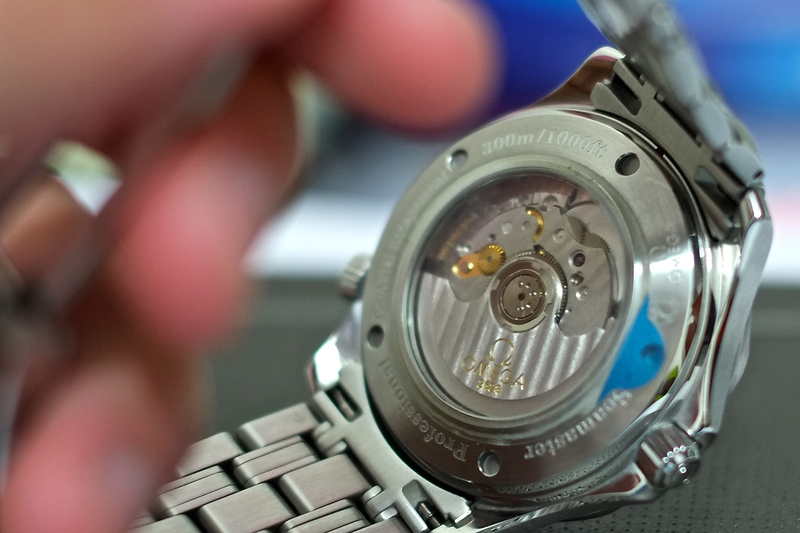 Speedmaster is popular for its history as the first watch wore by Neil Amstrong on the moon, tested by NASA for its durability and chronograph accuracy. 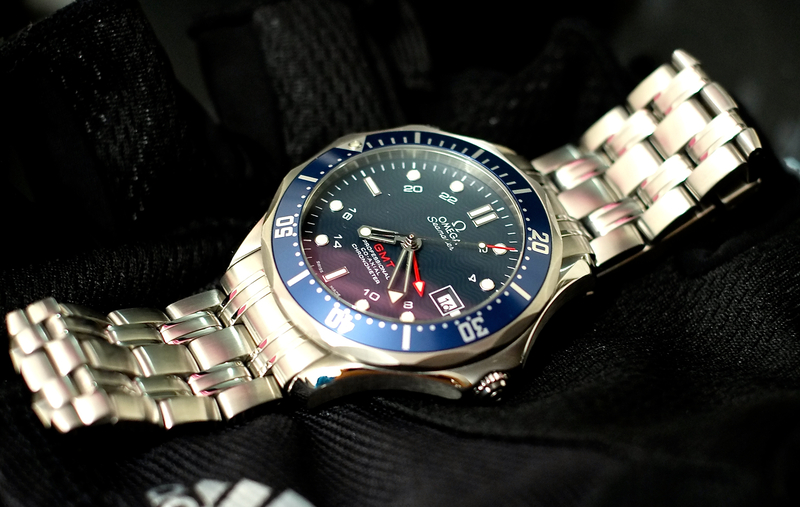 Meanwhile, seamaster line is popular for its involvement in “007” movies by Pierce Brosnan and Daniel Craig. 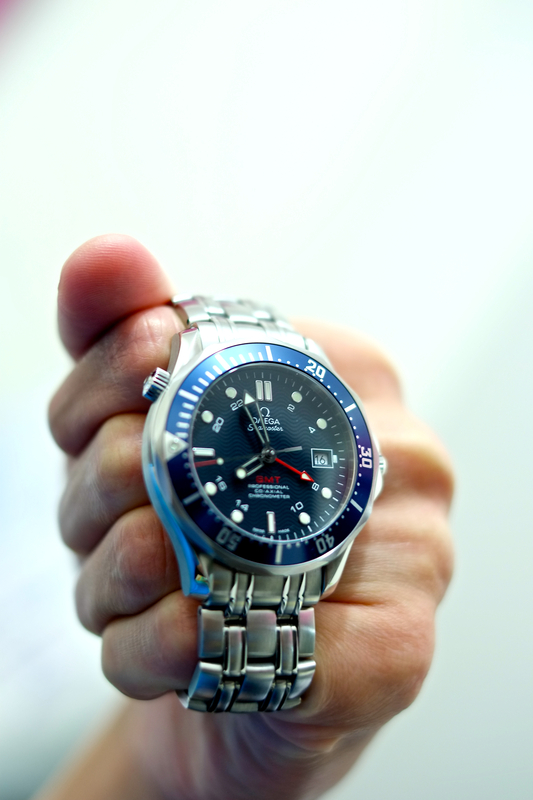 Omega seamaster professional GMT is my second automatic watch (the first one is Tag Heuer Aquaracer 300), and the most functional watch I owned. 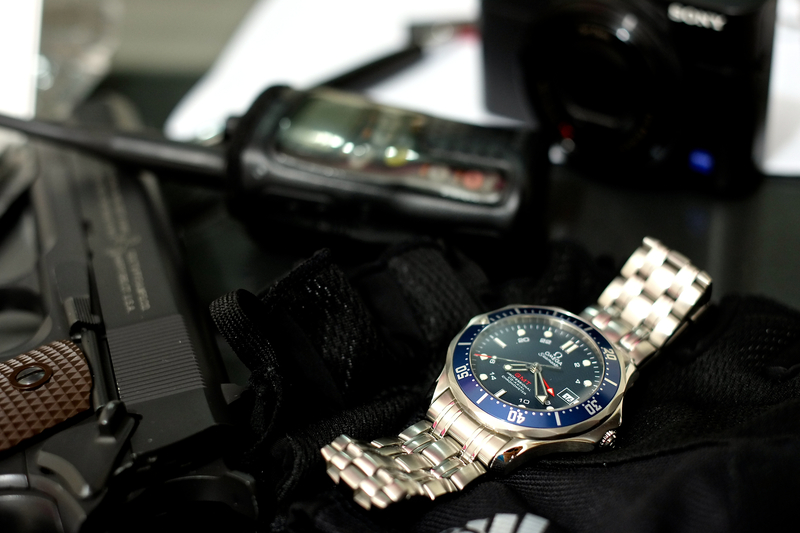 I bought it around June 2013 after watching 23 Bond movies and saw the versatility of a dive watch on various occasion. The watch is discontinued now but there are few used one on chrono24, I bought this watch on Omega retail store for around $3500. 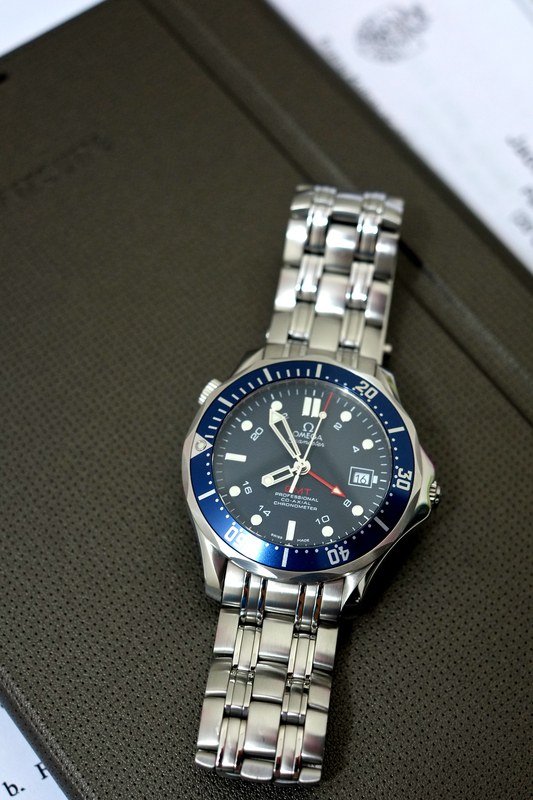 You might ask why did I bought another dive watch when I had a beautiful Tag Heuer Aquaracer, well, there might be no rational reason for this one. I thought having a GMT watch would be cool, I could know whether New York Stock Exchange has opened or not without having to subtracting 10 hours from my local time (I live in SE Asia). 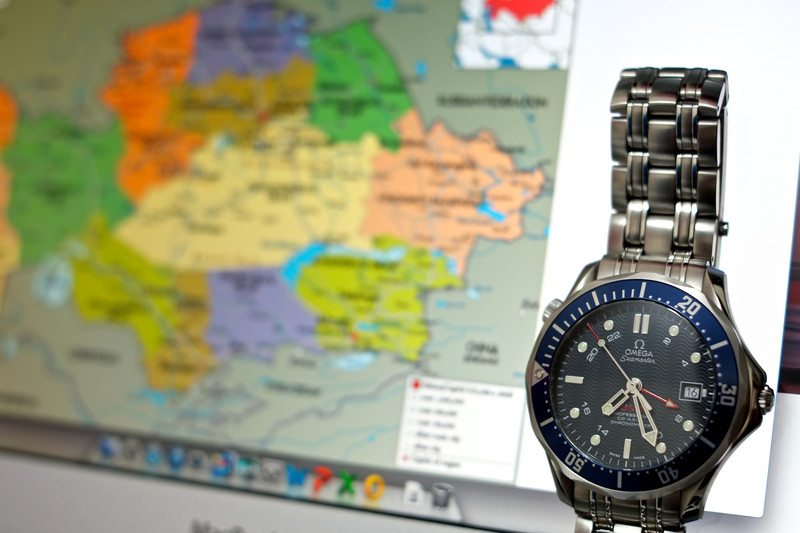 I also travel to various countries every six months, so GMT watch would serve as my travel watch. And it does, I wore my Omega to America, Canada, Japan, Korea, Singapore, and South Africa so far. It doesn’t attract too much attention, but respected from watch enthusiast. Sometimes I change the bracelet with rubber strap to avoid scratching the clasp when sitting on airplane seats. Date window could be seen easily with black ink on white background. 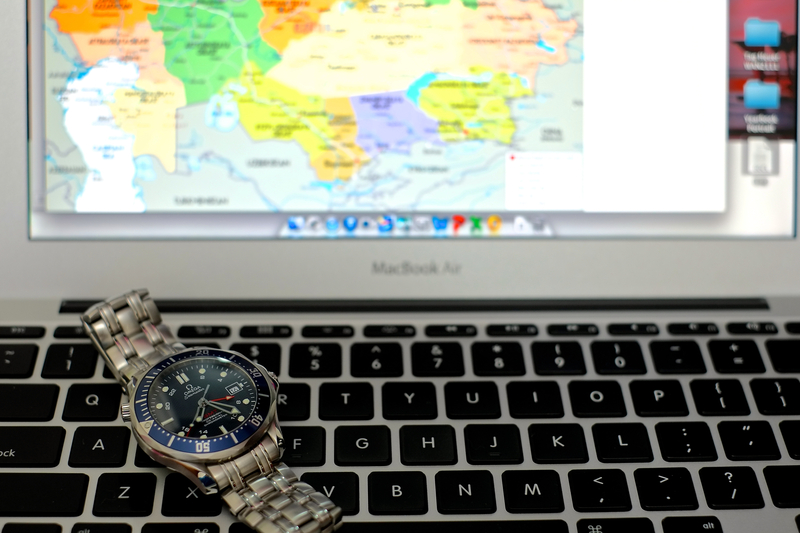 Differentiating between second time zone and local time is easy too with red hand being the second time zone and the skeleton hand for the local time. 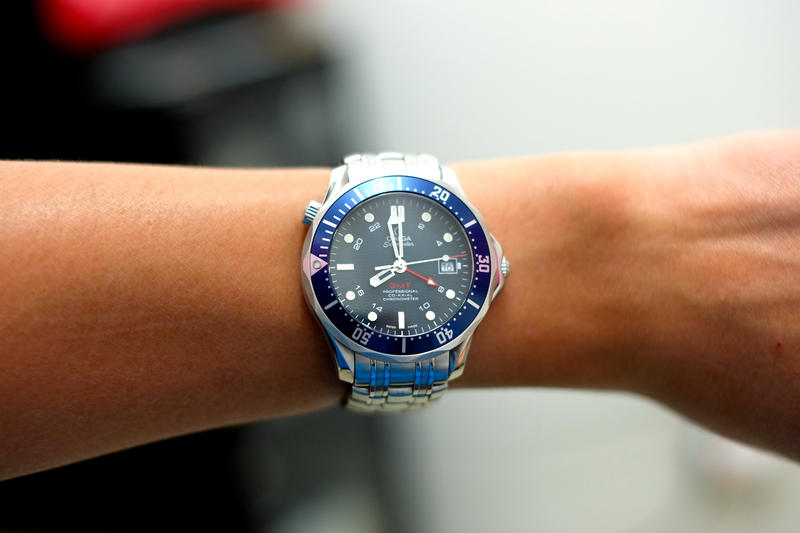 The unidirectional bezel could be gripped with little effort and felt rugged, certainly feel more expensive than my Tag Heuer, but I use it less because of my fear it would get loose over time. 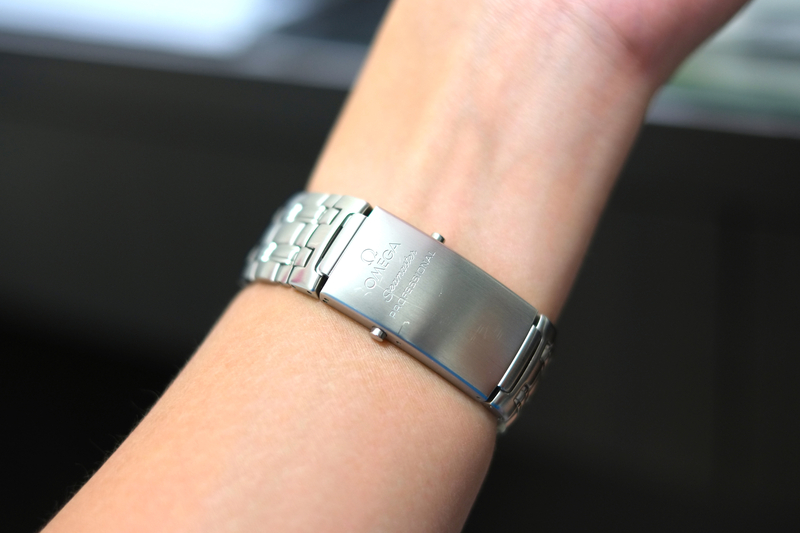 Now the bracelet is one of the best thing in this watch, it feel present on my wrist, and very comfortable for long usage. The steel is brushed, and could be polished when scratched using scotch brite. 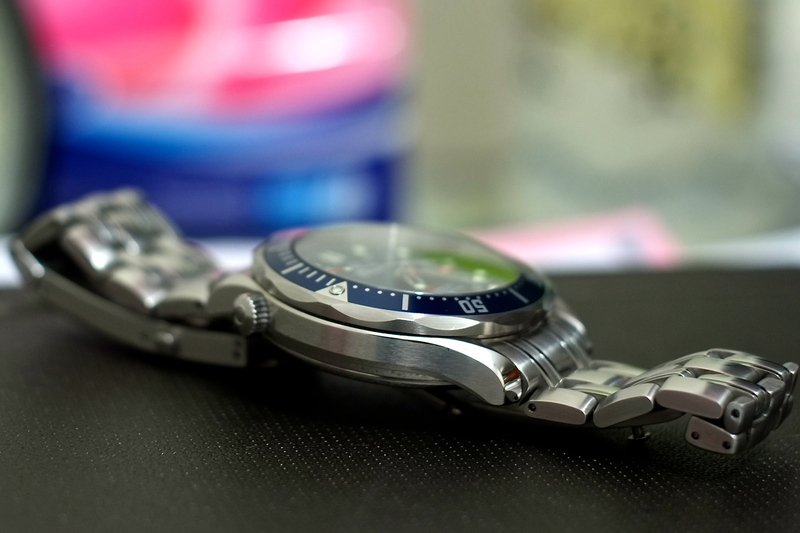 The association between Omega seamaster and James Bond in 007. It works as travel watch too! In my case, monitoring stock market in Indonesia and NYSE. Although a third time one would be nice, where I could monitor FTSE (London) as well. The easily scratched clasp. It has wet suit extension for diving. One differentiating feature between the GMT version of seamaster professional and the standard is the see-through case back. You could see the co-axial escapement movement with rhodium-plated finish. 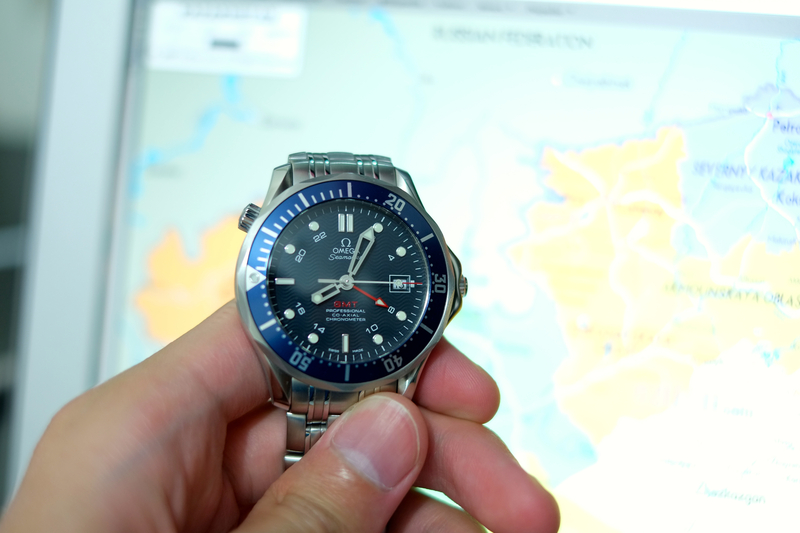 It has a power reserve for 48 hours, with COSC certification for its accuracy. 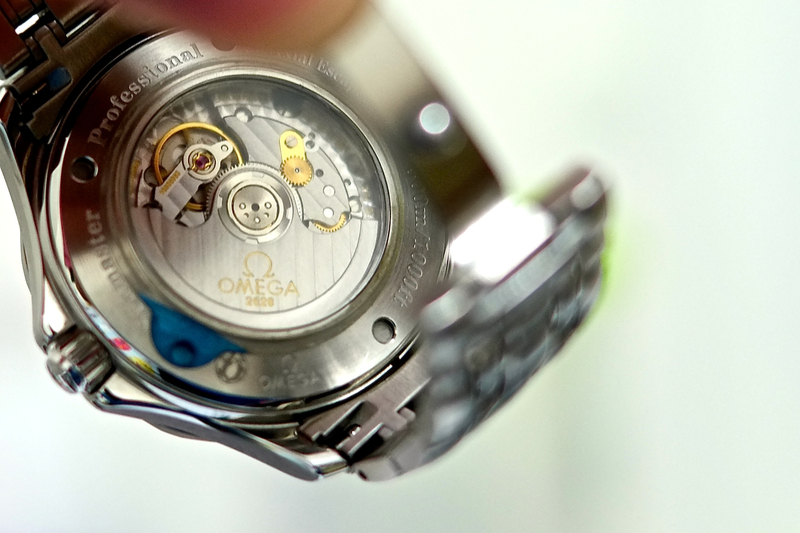 The movement is Omega 2628, a modified ETA 2893. 48 hours power reserve means you could wear it today, wear another watch for the next two days, and hopefully wear it again on the fourth day without having to set the time again. Overall, this is the most functional travel watch (aside from world-timer watch which cost $$$) and versatile for casual/sport use. It is not suitable for use under the shirt due to its thickness, but it really match with polo. If you work on fields, rarely wear shirts, or even a CIA field operative, this might be the watch you are looking for. This entry was posted in Watches and tagged 300m, bond, bracelet, ETA2893, gmt, gmt watch, james bond, lifetime, luxury, movement, omega, one watch, professional, review, seamaster, Watch. Bookmark the permalink. Yes, I believe this is the 48 hours power reserve instead of the older 44 hours. Thank you. 1. What the hell is a Daniel Co-Axial!?! 2. If you are trying to make some kind of link with James Bond with your pictures, at least get the equipment right. Bond never carried a Colt 1911 as you have in your photos. Plus associating something as beautiful as an Omega with weapons of violence is just distasteful. 1. George Daniel Co-axial movement? I thought that was the main selling points of Omega movement, although now they have the new Master Coaxial which is resistant to 15000 Gauss. 2. 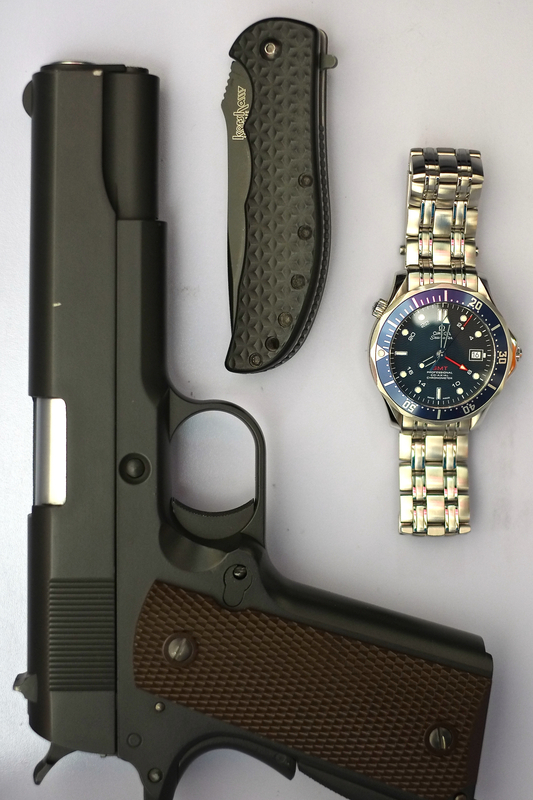 Well, I wasn’t intending to link the watch with James Bond movies, and I do realize he use Walther PPK and CP99. 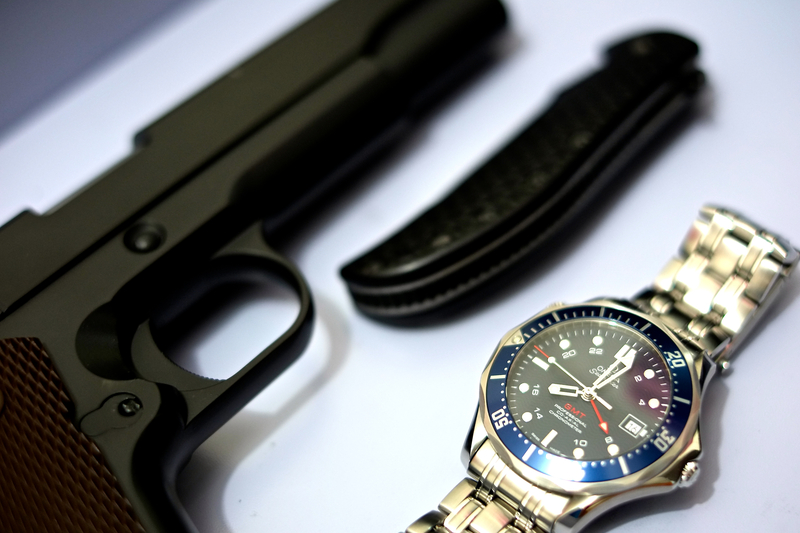 It was just a property background for the tool watch, and it happen to be the gun I have at the time of the photoshoot. I never intend to connect violence with anything, as I like to be peaceful at all times. Anyway, it seems that you need to take a rest and rethink about your attitude. I hope for the best of you.